This versatile set supports literacy, HIV treatment, and combatting childhood malnutrition all at once. 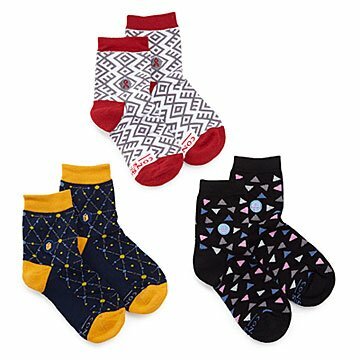 An ideal gift for any change-making lady in your life, this box of socks features three pairs, each dedicated to a cause: literacy, HIV treatment, and preventing childhood malnutrition. And if that wasn't enough, Trees for the Future will plant ten trees in Uganda for each set sold. Subtly designed yet statement-making, the soft, cotton-blend set is a surefire way to show a friend you care (and that you know she does, too). Made in India.